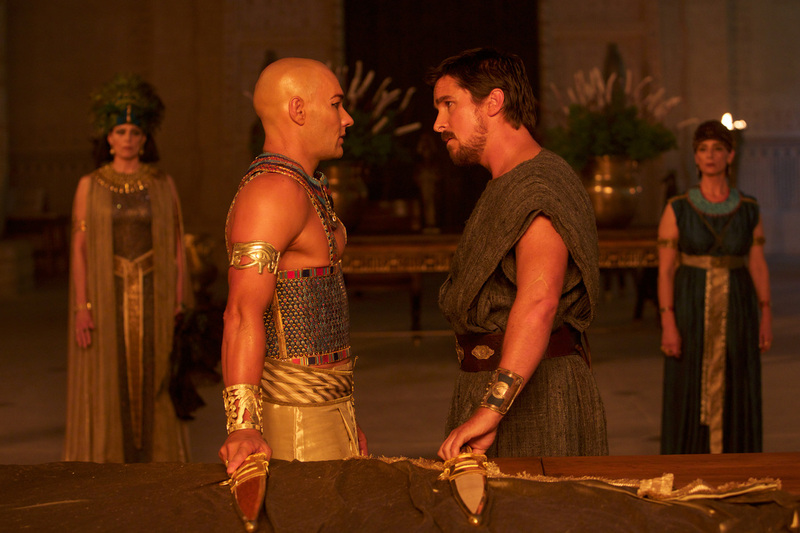 This article is a review of EXODUS: GODS AND KINGS. Worst of all, there is only one original idea. Ask someone to talk of the Old Testament, no matter their beliefs, and Moses and the freeing of the Israelite slaves is likely to be the first mentioned. Something so widely known thus needed an unexpected presentation to really engage. That sole novel inclusion had Moses commune with God taking the form of a child – that the child is only visible to the lead allows non-believers to possibly interpret a psychological break. And there are other attempts to explain the miraculous; the plagues that befall the oppressors are lectured on by an expert (Ewen Bremner). Catering half-heartedly to a modern, cynical audience is glaring. Why not instead make an allegory about corporate/governmental excesses used to exploit citizenry? The savvy are not being catered for here. 1300 BCE, 400 years of Hebrew slavery has endured in Egypt. “God has not forgotten them,” states the prologue titles. 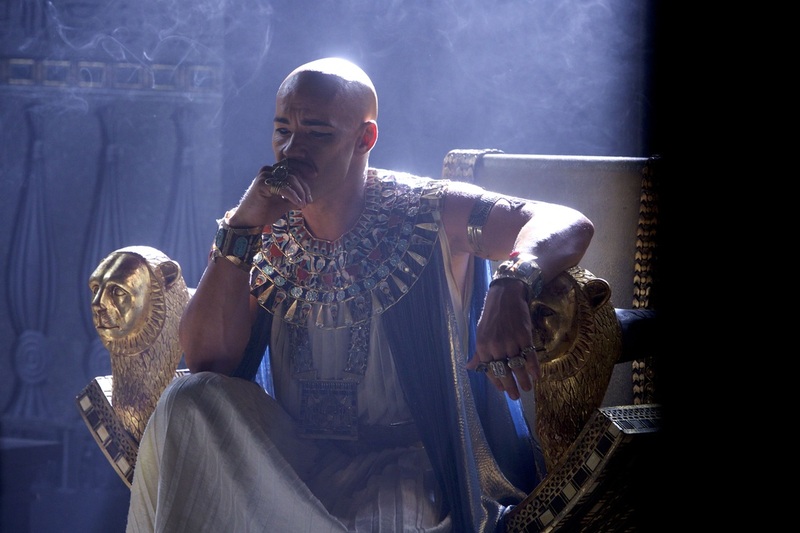 Pharaoh Seti (John Tuturro) dies leaving cartoonish baddie Ramses (Joel Edgerton) as successor. (At one point we see him with a yellow python ostentatiously draped over him. Evil klaxon! Only outdone on the flamboyant immorality stakes by Ben Mendelsohn’s Viceroy Hegep). 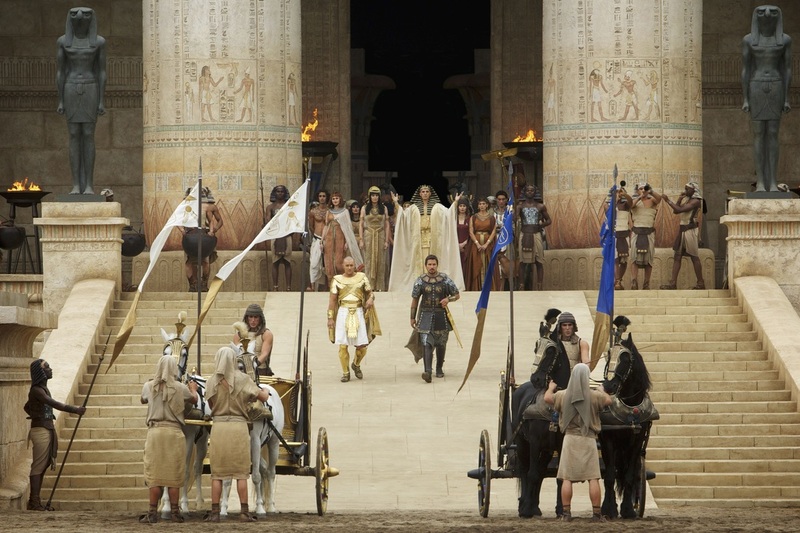 TV-movie-of-the-week overhearing of Moses real ancestry, sans substantial evidence, has Ramses and mother Tuya (Sigourney Weaver in a thankless role) exile him and, for good measure, send some bungling assassins. 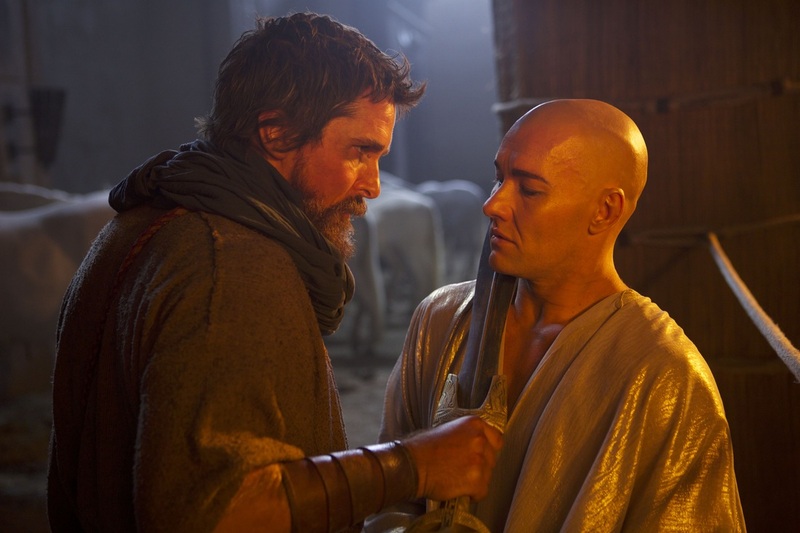 Finding a goatherd village idyll, Moses marries and has a son. Nine years pass, and God visits him in a vision, setting Moses on a new path. 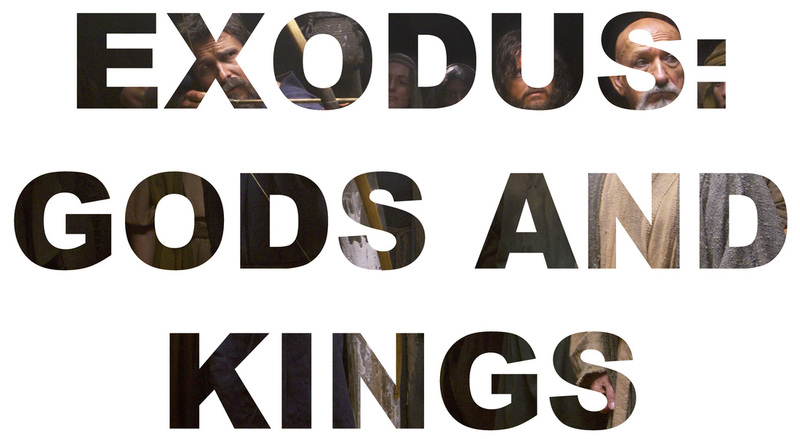 Visually EXODUS: GODS AND KINGS is remarkable-looking. 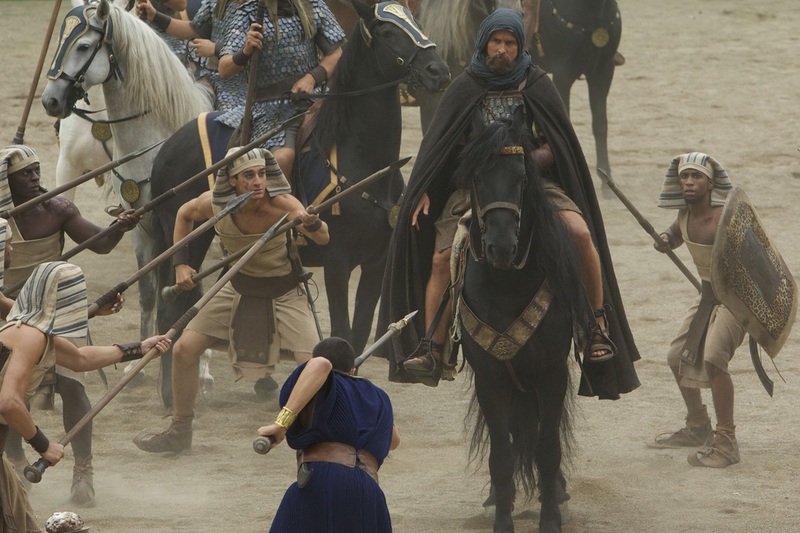 From the opening battle and 3D light flare to the cities and extras, it is hard to fault the technical achievements. (THE HOBBIT makers should take note of their dreary, artificial creations). 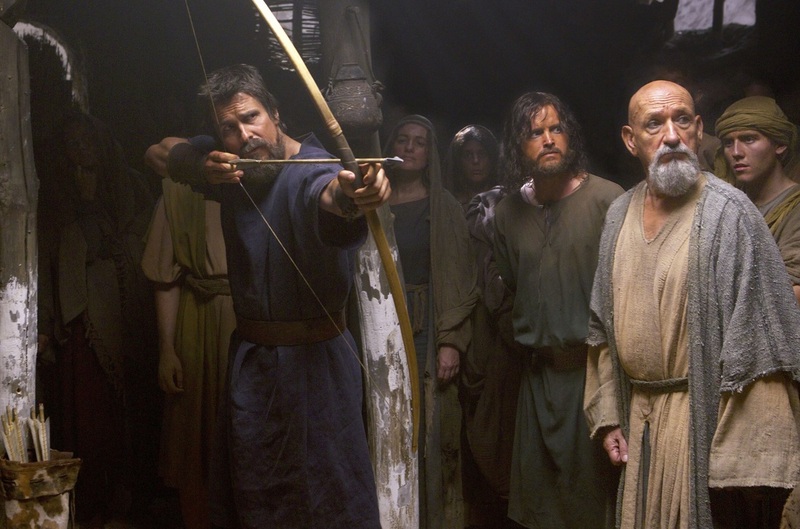 Water is still a struggle to create using digital effects (see also INTERSTELLAR), and that lack of advancement takes away from the parting of the Red Sea. 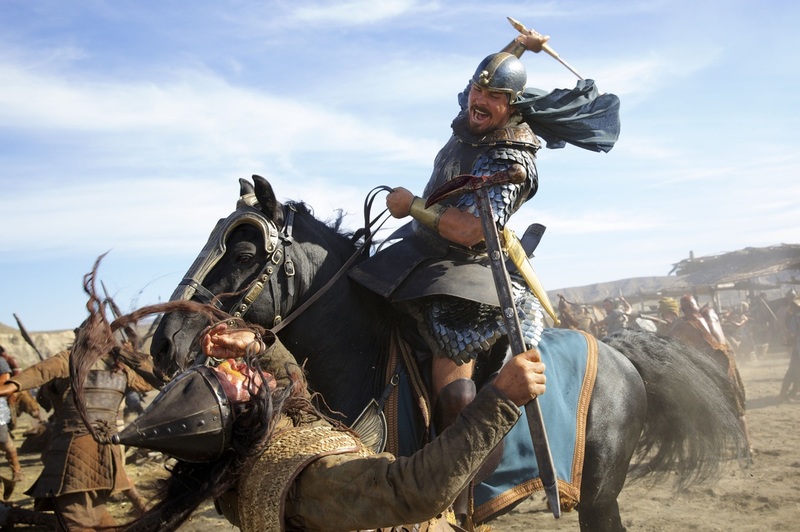 Ridley Scott is pretty much on autopilot – there is even a chariot flip harking back to GLADIATOR. The tang of a lacklustre, aimless project emanates.